Promenade opens with a clarinet solo followed later by an oboe solo and then the strings. This selection is written with consideration of the techniques of students. 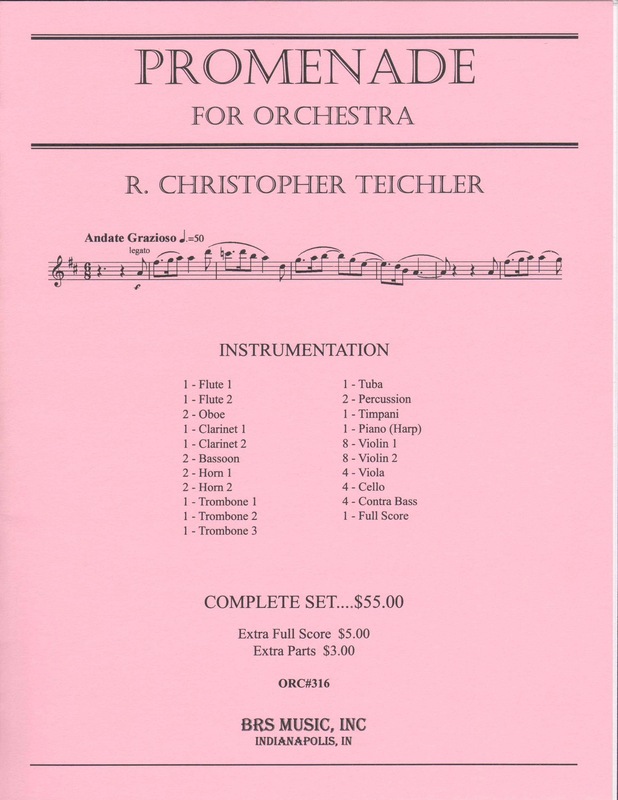 Thanks to Cinco Ranch High School Symphony Orchestra, Katy, Texas, Brett Nelsen, Conductor, with Ray Jones as the guest conductor, for recording this piece at The Midwest Clinic, December 16, 2010. See a video of this piece. http://www.youtube.com/watch?v=P7bvZRYrWJ4. Also thanks to Mark Custom Recording Services for the use of this recording.